Projection Artworks’ stunning new showroom includes a 360° immersive meeting room, projection-mapped retail solutions, projection-based digital signage and interactive displays. The immersive meeting room with incredible 360° projection around its four walls and table uses twelve Optoma EH515T projectors edge blended to create the one seamless image. The BT interactive wall uses an Optoma ultra short throw interactive projector – EH320USTi and the Samsung poster map uses the bright EH501. The logo projection in the main corridor uses Optoma’s short throw EH200ST projector. The retail solutions demonstrated in the showroom use Projection Artworks’ DisplayMapper technology. These include the Butterkist display using Optoma’s WU515 projector and the watch and trainer displays which both use Optoma’s tiny ultra portable LED projector ML750e. Display Mapper is the world’s first cloud-based, projection-mapping, content management and projector control system which has made global, scalable retail projection rollouts possible. It can help any retailer – big or small – create truly engaging project mapped displays. By merging video mapping, content management and projection control into one unit, DisplayMapper will breathe new life into retail displays. Laser and LED projectors are now a cost effective retail display option. Projections can be daylight visible and maintenance costs for bulbs replacement have been eradicated through LED and laser technology which can provide an astonishing 20,000 hours of impressive, virtually maintenance-free operation. 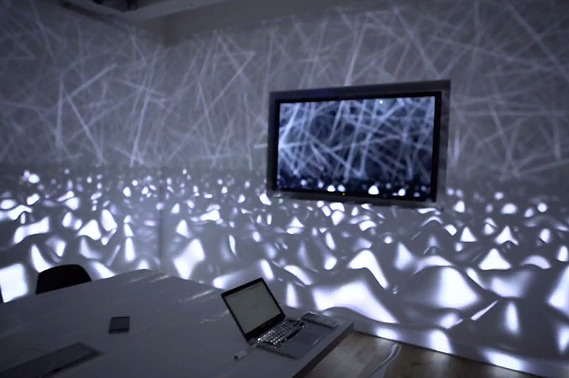 DisplayMapper was developed by Projection Artworks and is the technology behind the next generation of digital display: dynamic, daylight-visible 3D projection mapping. Designed specifically for retail environments, DisplayMapper allows low-cost and flexible projection mapping displays across unlimited locations, each maintained and updated via a cloud-based control panel.